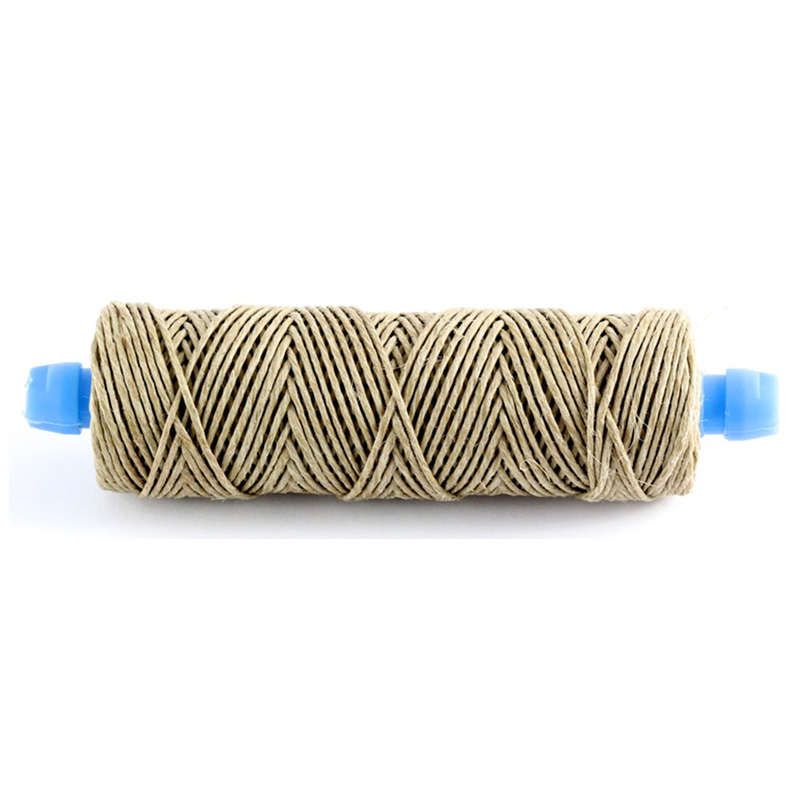 This is our custom made, and exclusive 1mm all natural European hemp twine spun onto plastic, disposable bobbins. This size is perfect for making the classic Culatello basket weave, as well as Fiocco. We also carry the 1Kg bulk spool for restaurants and manufacturers (as well as you dedicated salumi enthusiasts), as this is the most popular and best value. Sold as seen by the each. 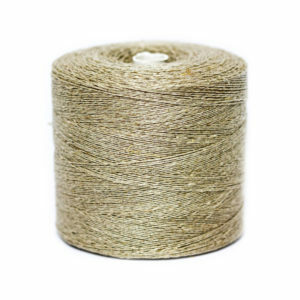 Each Spoletta contains about 50g of hemp twine, which is equivalent to about 125-150 feet. 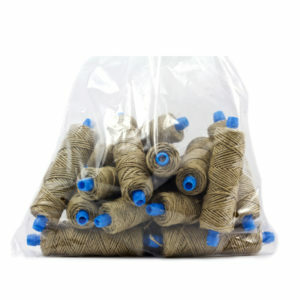 The BEST way to use the spool is to first soak it in water for about 2-3 minutes until the string is fully hydrated. 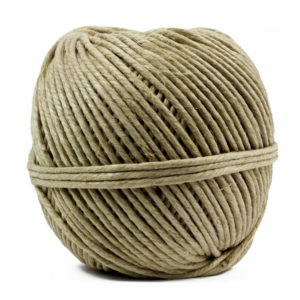 This will allow for ease on your hands, as well as aiding in binding the string together so it does not come unwound as you try and tie. 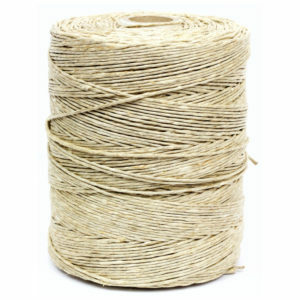 You also risk the twine getting tangled in the rest of spool, and to fix this you’ll have to cut the knot out. Soak it! 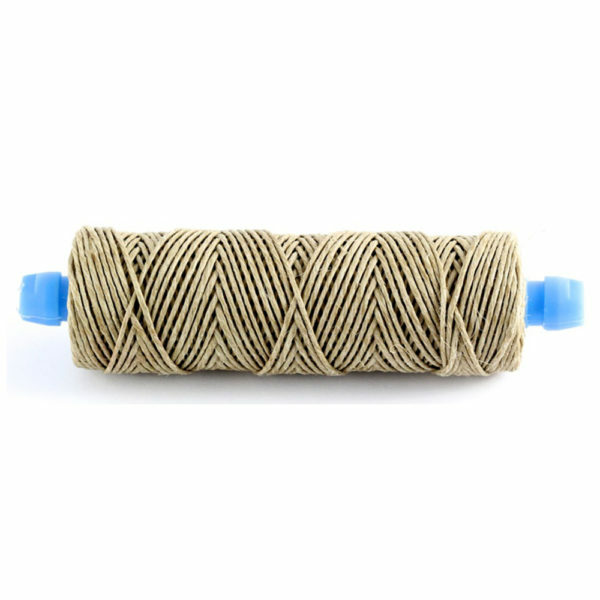 It is very IMPORTANT that you maintain a firm grip when using the hand spools, because if you do not the twine may come unwound. This will make it difficult to tie later, and the possibility of it tangling is greater. When you go to pull the string to add tension make sure you wrap it around your finger before pulling so tangling doesn’t happen.